If there is one thing that the corporate world runs on, its coffee! No office infrastructure is complete without the grunting coffee machine, be it a multinational fancy Google office or a small start-up in a garage. Any office desk is just incomplete without this small little cuppa. More often than not, it is a means to take a break and get away from the desk, maybe catch up on some latest gossip or check out the new hottie in office. But in all that leisure we do not realise what felony we are committing to our body and mind. Here are 6 reasons which will make you think twice before reaching out to your coffee. Depletes Calcium: Unless you like your bones to be weak, caffeine is a strict no no especially when it comes to people suffering from osteoporosis or other bone related diseases. Caffeine flushes out excess amount of calcium in the urine than is necessary. It may therefore also be a good idea to get extra calcium in your diet to make up for the calcium that is lost due to caffeine intake. Insomnia: If you think you are losing sleep because you are in love, think again. It may simply be because of that coffee, which you had in the afternoon. No doubt caffeine makes your brain alert, but it also starts affecting your brain cells and ends up affecting your sleeping pattern. Makes your Skin Look Lifeless: Caffeine cause toxins in your body, the kind that can make your skin look dull and leathery. Caffeine also dehydrates your cells, making your body loose more water. So if you want a glowing skin, bid adieus to coffee. Even One Cup a Day Can Get You Hooked and How: Caffeine is addictive. 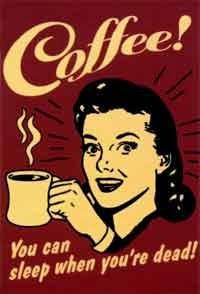 Also some people, like smokers, process caffeine more quickly and hence will need more of it to keep them going throughout the day. People who try to stay away from caffeine, show withdrawal symptoms similar to that of an alcoholic (headache and nausea are common). Makes You Act Like Lab Rats: Caffeine hits hard early in the day and then fades off in the afternoon. It's predictable self-administration, kind of like a lab rat pushing a lever that'll give them the next expected hit of a drug. These patterns become so ingrained that many of us don't even realise how long it's been since we've gone without them. People go on for months and years, without skipping coffee, which clearly shows how powerful it is. You Will Be Anxious All The Time: Caffeine is notorious for causing anxiety. You will notice this the next time you are nervously working around deadlines and you reach out for your coffee, your anxiety levels will increase and you will be more panic stricken and in a hurry to finish your work or get results. While you may debate that this will work in your favour, it actually works against you as it increases your heart rate and decrease your ability to think logically. It is definitely not a soothing beverage. Also a small note to those who think drinking strong black coffee is way more cooler and macho than having a light frothy coffee; you are just training your mind and body to become a slave of this drink forever. · Munch on an apple. The munching makes your brain alert and also shoos away sleep. 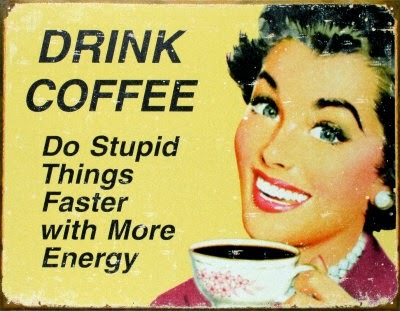 It is in fact more effective than tea of coffee. Also you are doing a great favour to your body by eating healthy. · Take a break every 15-20 minute. Stretch yourself. While sitting on your chair, rotate your toes and ankles, stretch your neck and back, then stretch out your arms. Drink a glass of water. · Sip on some warm green tea. Trust me it works like a wonder. You feel relaxed and energised because of all the catechins that fresh green tea has. · Listen to your favorite song, it won’t take more than 5-7 minutes; but don’t listen to a song that will work like a lullaby, listen to something peppy.